Kangs earn crowns in both Military and Pom categories. 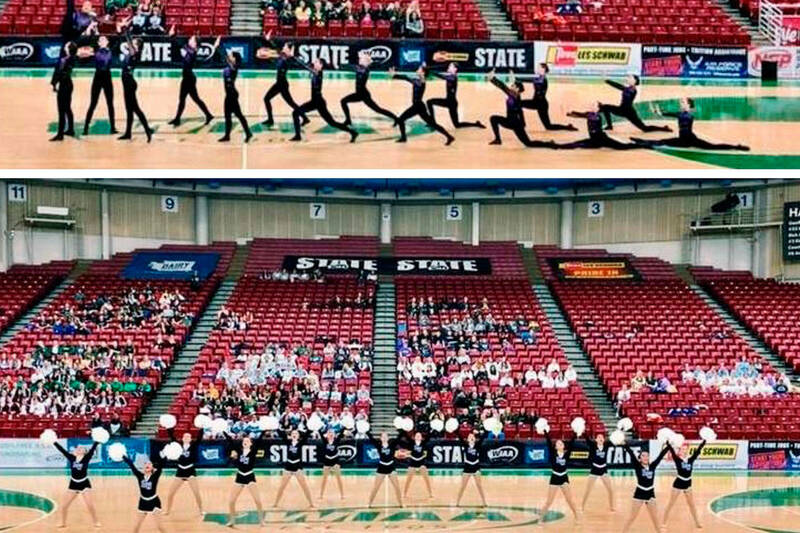 For the second consecutive year, Lake Washington High’s dance squad won a pair of titles at the WIAA Dance and Drill State Championships on March 24 at the Yakima Sundome. During events, the girls’ routines are two minutes long, and the Kangs unleash their maximum effort the whole way. Lindsey Ryan, a former LW dance team member and 13th year Kang coach, said when her girls take the floor in competitions and training, it’s all about “Get It” — which stands for grateful, efficient, trust, infinite and tough. The squad — which features 25 dancers from freshmen to seniors — focuses on the here and now and pushes to be the best they can be, Ryan noted, adding that winning doesn’t happen by accident, as the girls strive for excellence each time out. Sampson said the squad thrived under the guidance of its coaching staff. “They instilled a strong work ethic and unbreakable focus within us that allowed us to achieve the best versions of ourselves,” she said. It’s been a long road for the girls, from tryouts last May to practices and competitions through March 24, and they put in copious hours to prepare for their time in the spotlight. During the summer, they practiced seven hours a week, and that rose to 15 hours a week leading up to state. Sydney Wickman described what it’s like for the Kangs to strut their stuff on the dance floor with spectators and other squads looking on. Ryan said she learned life lessons during her time on the squad and she wanted to share her experiences as a coach. There’s more to the LW dance program than winning state titles, Ryan added.